A fine, large oil on canvas by British listed artist Herbert Davis Richter. 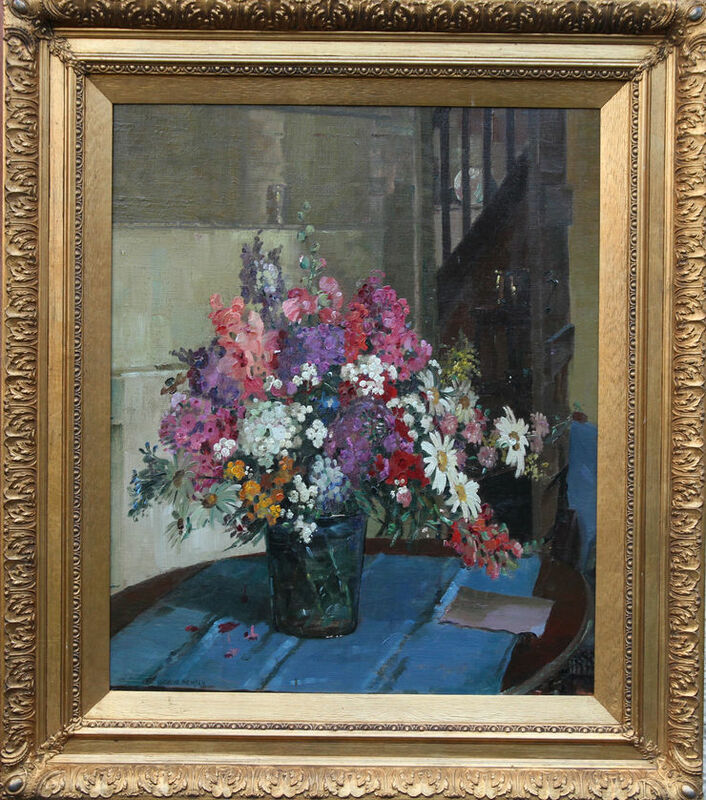 Painted circa 1930, it is a stunning example of early British Impressionism. 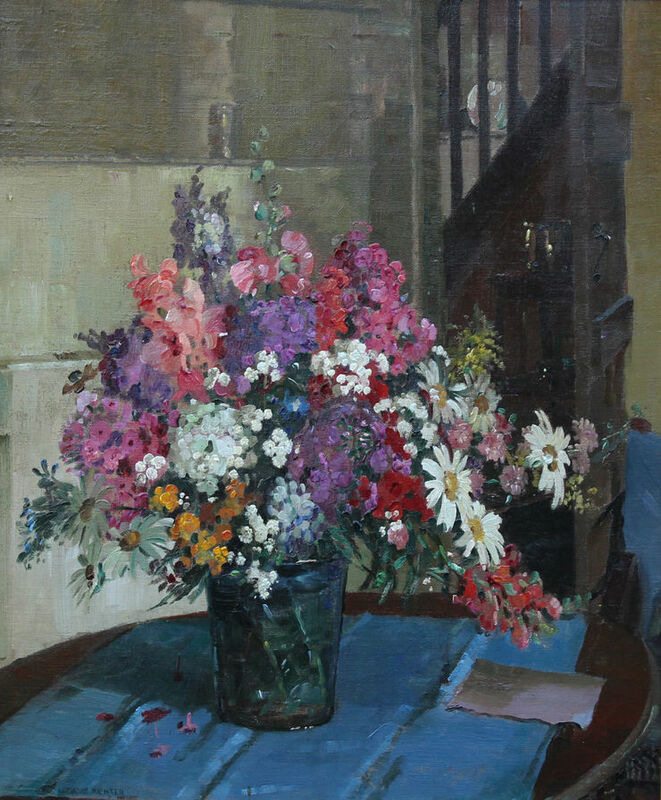 This painting is a very colourful mixed floral still life in a clear vase on a vivid blue tablecloth. The colours are just beautiful. Essex collection of the artist. Framed in a fine period gallery frame. 32 inches by 28 inches. Good condition.